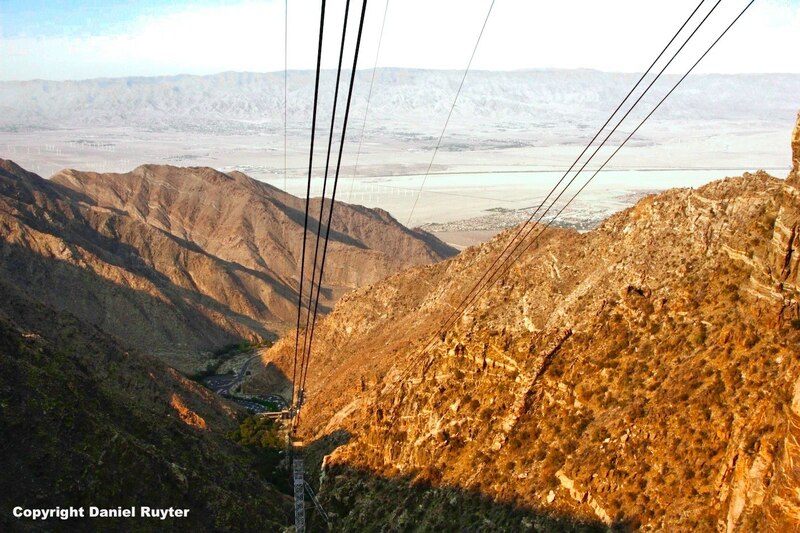 This is an unpaid Palm Springs Aerial Tramway review. Dadtography was not compensated in any way for this review. The opinions in this review are 100% that of the author and are 100% authentic. Growing up in the midwest, far-flung regions of the country felt like distant galaxies to me. Sure, I had seen pictures of places like the Grand Canyon, San Diego and great redwood forests, but, as I gazed out at all the corn I was surrounded by, they seemed light years away. Finally, in my adulthood, I got the opportunity to venture west. One of the stops on my latest trip was the Palm Springs, CA area. There's a lot to do in the Palm Springs area, but not so much in the middle of the summer. 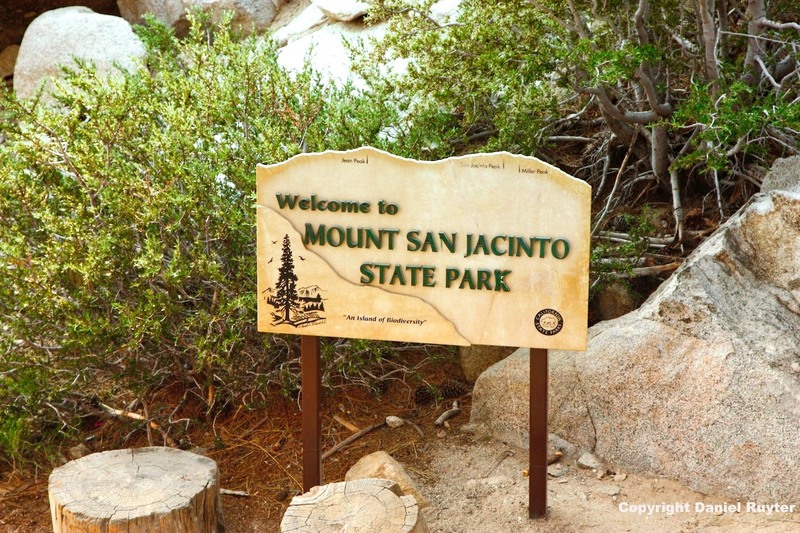 I thought going up on the tramway to the top of Mount San Jacinto would offer a nice reprieve from the 115 degree heat down in the valley below. I batch edited the photos on this post with Luminar Neptune in 90 seconds. 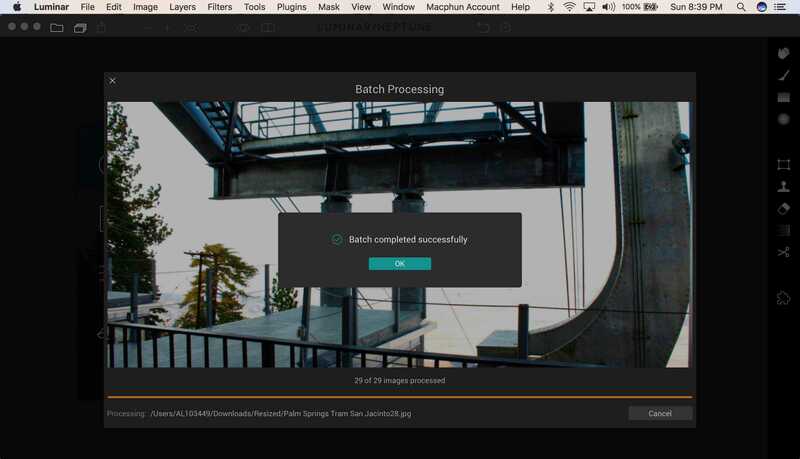 I edited all of the photos you see on this blog post in about 90 seconds using the batch editing feature of Luminar Neptune. I love this feature when I want edited photos, but I don't have a lot of time. Download your free copy of the software and give it a try! Map note: The pin in the map above is the exterior visitor's center. Keep driving up the road to get to the tram station. 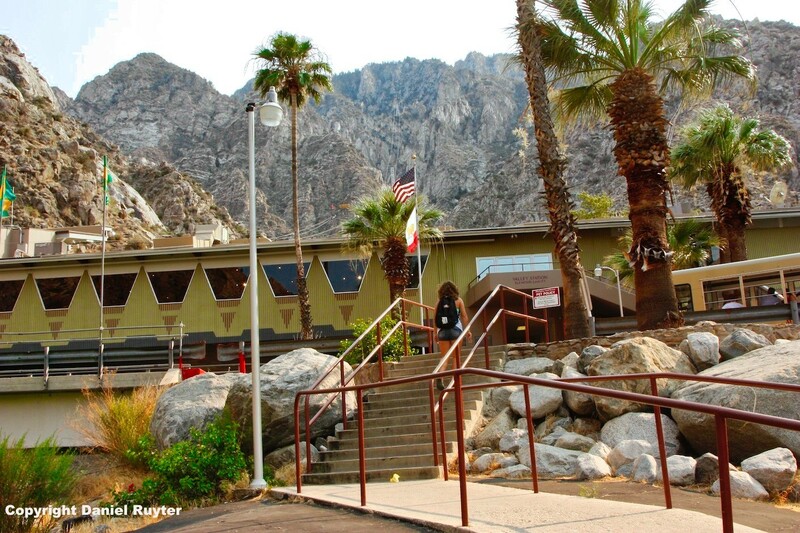 The facilities at the base of the aerial tramway were about what you'd expect of a national or state park. The visitor center and boarding station for the tram hadn't been refurbished in quite some time, but in some ways, that actually can add to the charm. The road leading up to the base is a winding one - I recommend Dramamine if you're prone to car sickness. But at least the asphalt was new and smooth. The 6,000+ foot ascent was a great experience. The rotating tram was a nice addition, ensuring everyone in the car has a view at some point along the journey up the mountain. There's no need to jockey for location when you get on, as is the case in other such attractions. The facilities at the top of the mountain were similar to those at the bottom. Older carpet and 70's style decor were to be appreciated by some and loathed by others. For me, it was almost a trip back to my own childhood and memories of trips to Pike's Peak and Yellowstone back in the day. If high style and modern amenities are your thing, you may be let down just a bit. On the ground floor of the tram's mountain station, you'll find a small display area where you can view taxidermied examples of creatures you may come across on your hikes in the area. They won't be the highlight of your trip, but they're interesting for a quick walk-through of the display. 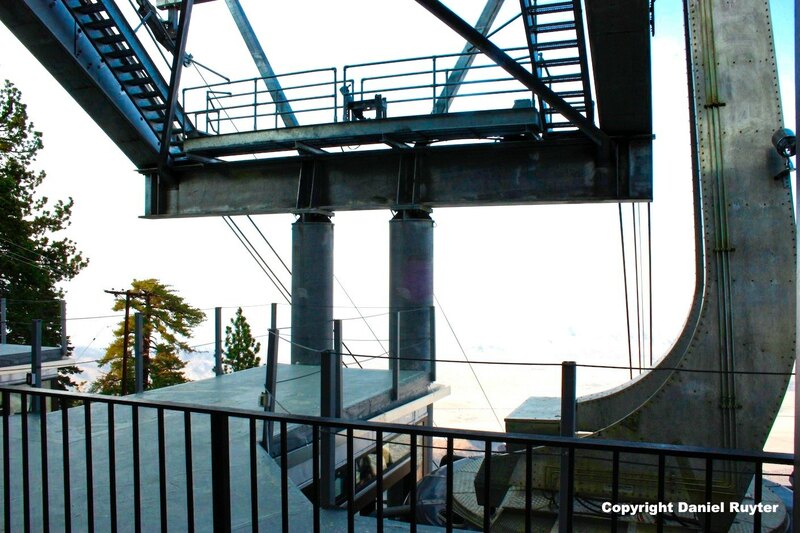 The second and middle floor of the mountain station is where the landing is for the tram. Here, you'll find a large lobby area and a gift shop. The gift shop stocked almost identical items as the one at the base of the mountain. Gifts and souvenirs were typical of what you'd find at a state or national park store. Some were unique and interesting while others were mere trinkets. The obligatory refrigerator magnets can be had at either shop. The third and top floor of the mountain station is where the dining facilities and overlook areas are. There's a nice patio off the cafeteria dining room, but there isn't a lot of seating outside - only a few metal picnic tables. If you can get lucky and score one, they offer a nice view while you eat. Oh, the third floor is also where the bar (The Lookout Lounge) is, as well. I'd grab my drink and head for a patio with a view. Pine's Cafe is a cafeteria-style establishment where you grab a tray and go through a cafeteria line and pick out what you'd like to eat. The choices are not abundant, but they did offer a choice of meat (roast beef or chicken) and a handful of side dish choices. Overall, the food quality was good but not great. I wouldn't eat here for the food, but rather, for the experience. Also, be sure to check out the "Ride 'N' Dinner" combination ticket if you plan on eating at Pine's as it will save you a few dollars. If reviewing Pine's Cafe separate, I would give it 2.5 / 5 stars. Peaks Restaurant is the fine dining option at the top of the tramway. Their slogan is they are "A Culinary Experience Above the Clouds." which is probably technically true no matter how good the food is. I didn't have the pleasure of dining at the Peaks so I can't comment on the food itself. The dining room for Peaks is part of the large open 3rd floor, and overlooks the valley below. There are a few tables that were right up against the window, but not every seat in the house is a good one. The good part is they don't seem to be very busy so you may not have a lot of competition. Night time views are likely the most coveted, but I'm sure business picks up after 7pm as well. Aside from the views, I had a somewhat disheartening experience riding down the tramway back to the base. A chef was riding in the car with us, talking to another mountain station employee, complaining about his job. Needless to say, it didn't inspire me to try his restaurant. The views both on the ride up in the tram and at the top were great. On a clear day you can see all the way to Nevada to the north and Mexico to the south. There are a number of patio areas that are easy to get to and wheelchair friendly as well as more challenging "hikes" up stairs to lookouts right near the mountain station. You will definitely want to bring your camera for this part of the trip. Be sure to see below for more photos from the top of the tram. Overall, I felt like I spent too much money on this excursion and didn't receive the value back that I had hoped. Two tram tickets with the Pine's Cafe dining option were over $70. Yes, the price included dinner - just purchasing tram tickets would have been nearly $50 alone. If you opt to go on the tram, I'd definitely recommend springing for the dining option or forgo the trip altogether. Note: Prices includes round trip Tram fare and dining in Pines Café. Available after 4pm. Overall, we had a really good experience at the tram. Sure, we spent a few bucks and we had to ensure some less than 5-star "cuisine", but we got a bit of a reprieve from the hot temperatures down below and we got to see some amazing views. All things considered, it was worth the price of admission and I'd gladly do it again.